Michael Scott: Look at that. Oscar Martinez: I love cycling. Andy, I feel like a tourist in my own city. I literally can't wait to wake up every morning. Michael Scott: She is a beaut! Dwight Schrute: Can't beat a horse. A horse is a bike that peddles itself. Oscar Martinez: Yes, it is. Michael Scott: Oh, look at that. This one and following with Danny character, are bad partly because his character is so pointless and unamusingly written. He's doesn't have the tics that make even the most peripheral Office characters seem funny and real. His purpose is two fill a 1-dimensional role of a smarmy, jerky guy. Boring. 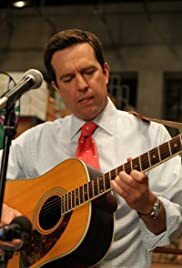 The songwriting storyline feels like a cloyingly upbeat way to root for Andy, Kevin, and Darryl, and flesh out their characters in a safely likeable way, while throwing in some obligatory Office quirk to make it seem like it's in keeping with the original feel of the show. At this point in the show, you're either ok with the show adapting to a new feel, or you're not (or you're unaware that it's even happened). I'm not ok with it in genera. This episode is emblematic of the weaknesses of the last few seasons.